For the one you love, we have something special. 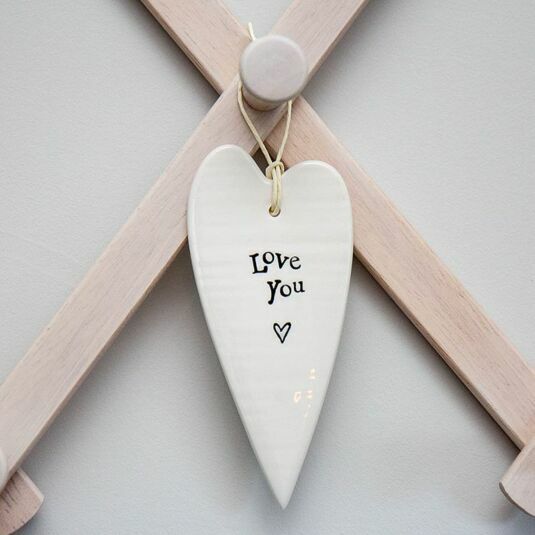 This porcelain heart has the words 'I love you' engraved on it and a little heart as a finishing touch. 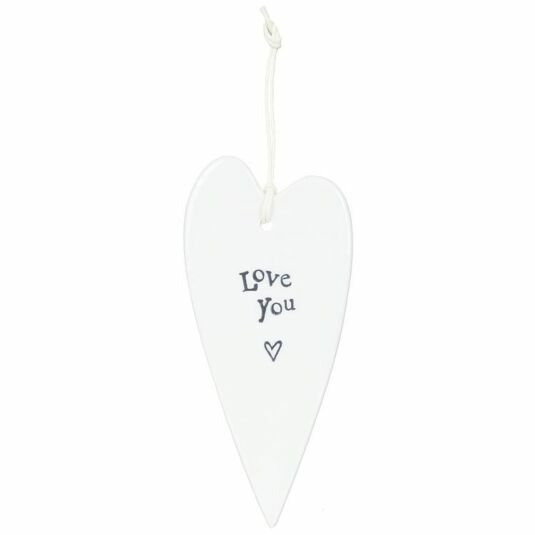 The heart has a gently rippled motif and can be hung anywhere thanks to a piece of string attached to it. It will always remind your love of your feelings for them.